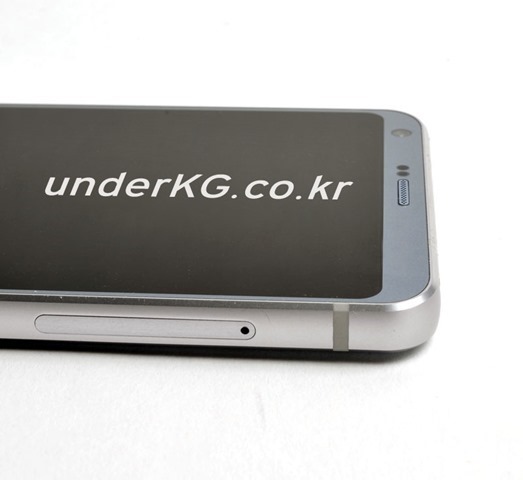 Photos of the LG G6 have been leaked by a Korean website, ahead of the device's launch at the MWC 2017 tech show. 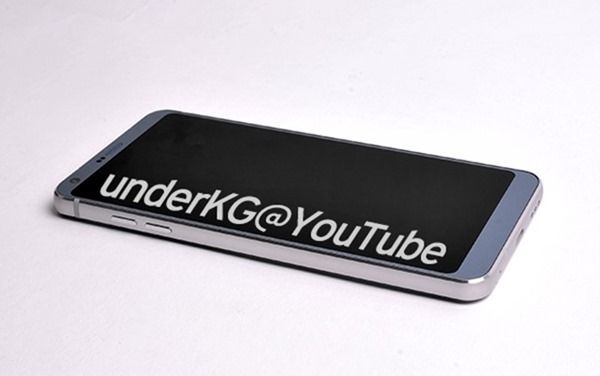 The LG G6 sports a Gray colored metal body, with a brushed metal finish on the back panel. The back panel appears to be curved in the above photo. You can also see the LG G6's fingerprint scanner on the back panel, along with a dual rear camera setup. The LED Flash is seated in the middle of the cameras. 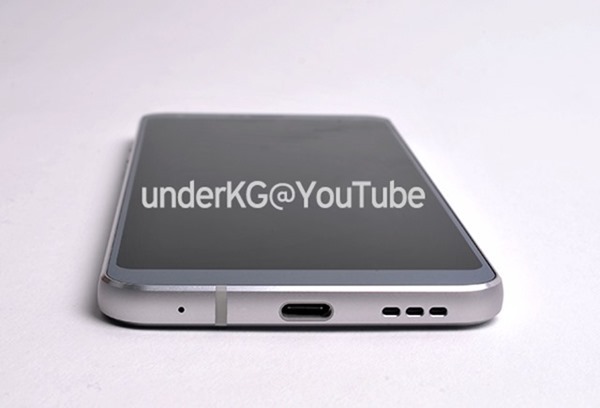 There is a USB Type-c port, and an odd looking speaker grille on the bottom along with a mic. There is a 3.5mm audio jack and another mic, on the top of the phone. The front panel has a selfe lens on the top left, and a couple of sensors, and the ear piece. The side bezels are very thin, but there is a bit of bezel on the bottom of the front panel. 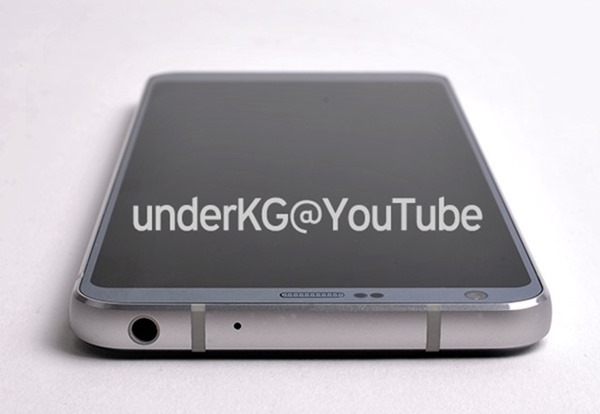 The SIM card tray is located on the right side of the LG G6. Two metallic physical keys of the same size are visible on the left side of the phone, and they look like the volume rocker buttons, but there is no power button to be seen anywhere. So one of the keys could double up as a power button. 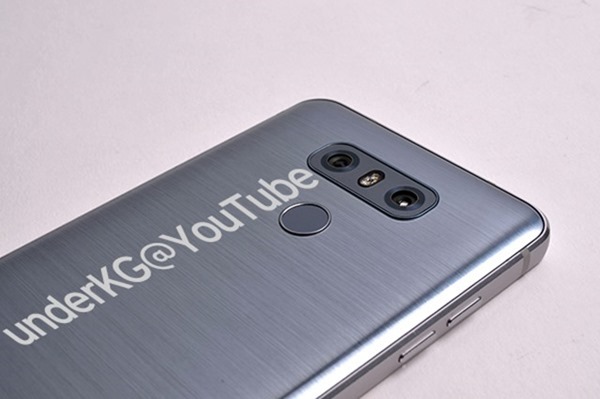 We are a bit skeptical of the leak, because there is no LG logo to be seen anywhere in the images of the LG G6, but considering that the bottom of the back p[anel is not seen, so the logo could be there. We already know that the LG G6 will be powered by Qualcomm Snapdragon 821, and not the 835 chipset, because of delays in the availability of the processor. And considering that the LG V20 debuted with Android 7.0 Nougat, the first phone to do so, we are pretty confident that the LG G5 will be launched with the latest version of Android. An analysis of the latest leaked photos of the LG G6.